You don't have to be that mom handing out raisins or apples to opt for healthier treats this Halloween. Stock up on tasty candies sans artificial flavors and synthetic dyes and some fun toys and you'll please both the little and big neighbors. Kick start a healthier trend on your block by stocking up on all-natural sweet treats and festive Halloween toys or art supplies to hand out this year. If you shop early and take advantage of great web deals and free shipping, you won't be left with a bunch of junk you don't want your family eating. You also won't earn that hard-to-shake rep of being the Halloween scrooge. Here are some mom- and kiddo-approved alternatives to lollipops and lemon heads. 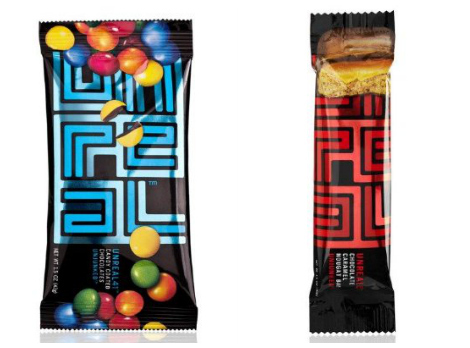 UNREAL is making classic candy treats with less sugar, no corn starch and no artificial flavors or colors. They're leading the way in taking a nontoxic approach to the movie theater staples we all grew up loving. Big box retailers like Target and CVS are starting to carry the line, but for the sake of this article we're sourcing all of our Halloween goodies in bulk from Amazon to qualify for their free shipping (with orders of $25 and above). 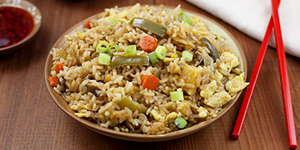 Save yourself an errand and get this task done in minutes. 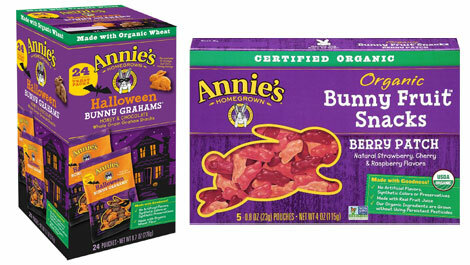 Annie's has long been a trusted brand in organic snacks and, of course, mac and cheese. But did you know that every Halloween they release their fruit gummy treats, cheddar and chocolate bunny snacks in Halloween-specific bulk packaging? Trick or treaters will be delighted with the festive look and moms won't feel too bad sending these snack packs to school the next morning. Sure, it's not a bag of freshly-baked kale chips, but at least it's not a handful of red dye number 9 with a side of partially hydrogenated oil. Now here's where things get just a little fuzzy for this self-described hippie mom. 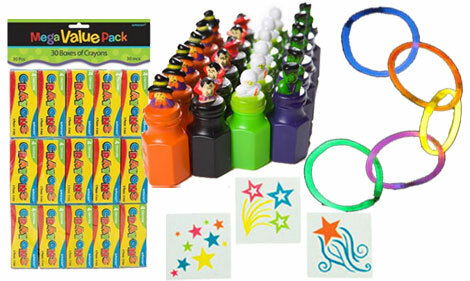 I like handing out a few non-sweet, non-edible goodies at Halloween like Play-Doh, crayons and glow sticks. For the most part, these items are headed for a landfill near you and the materials that go into their manufacturing are not exactly what I would call all natural, but in moderation I think a few useful toys go a long way in making Halloween less about candy and more about fun. I also highly recommend checking out your local dollar store for bargains on board books, travel-size coloring books and stickers. Here are a few of my affordable favorites available in bulk. Happy treating!